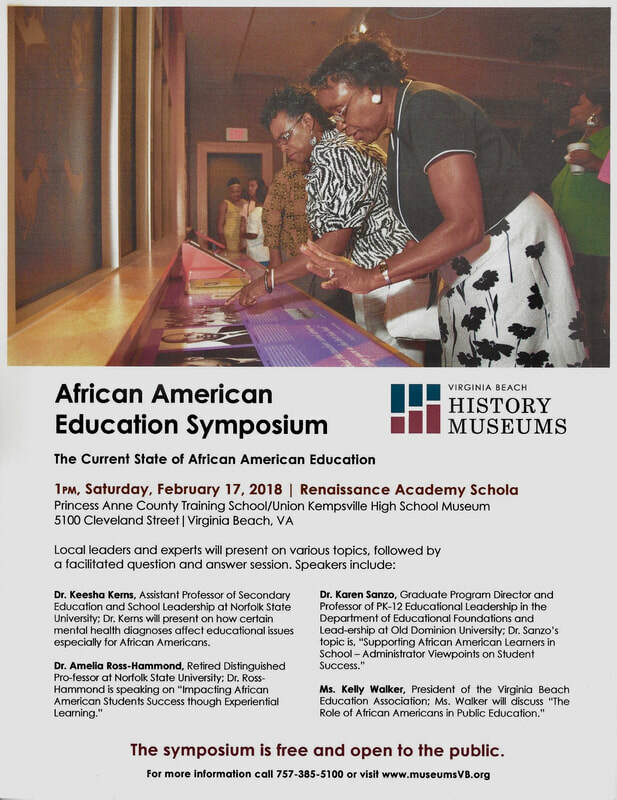 African American Education Symposium 2018 - princess anne county training school union kempsville high school alumni and friends association, inc. Please share this information with your families, friends, churches, communities, etc. Following the symposium, visit the PACTS/UKHS Museum located in The Renaissance Academy.